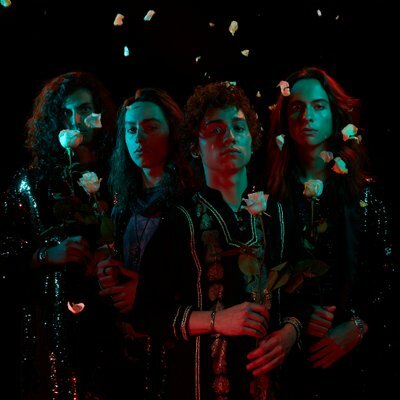 Michigan band Greta Van Fleet snagged its first Grammy Award on Sunday for best rock album. The Frankenmuth-bred quartet, which won for its album "From the Fires," took the honor during the Grammys' pre-telecast ceremony at L.A.'s Microsoft Theater, across the street from the Staples Center, where Sunday night's ceremony was to take place, reports Brian McCollum of the Detroit Free Press. The band was up against albums by Alice in Chains, Fall Out Boy, Ghost and Weezer. Last month, the band performed on Saturday Night Live. Since debuting in April 2017 with their Black Smoke Rising EP, and chasing it with their From the Fires EP later that year, they hit a power streak of three consecutive No. 1 singles on the Billboard Mainstream Rock chart. Its most recent, “When the Curtain Falls,” led its full-length debut Anthem of the Peaceful Army, which bowed atop the Rock Albums tally and at No. 3 on the Billboard 200 in October. Amid sold-out international dates, they’ve proved themselves as standouts on hip-hop-dominated lineups for festivals, including Coachella and Austin City Limits.